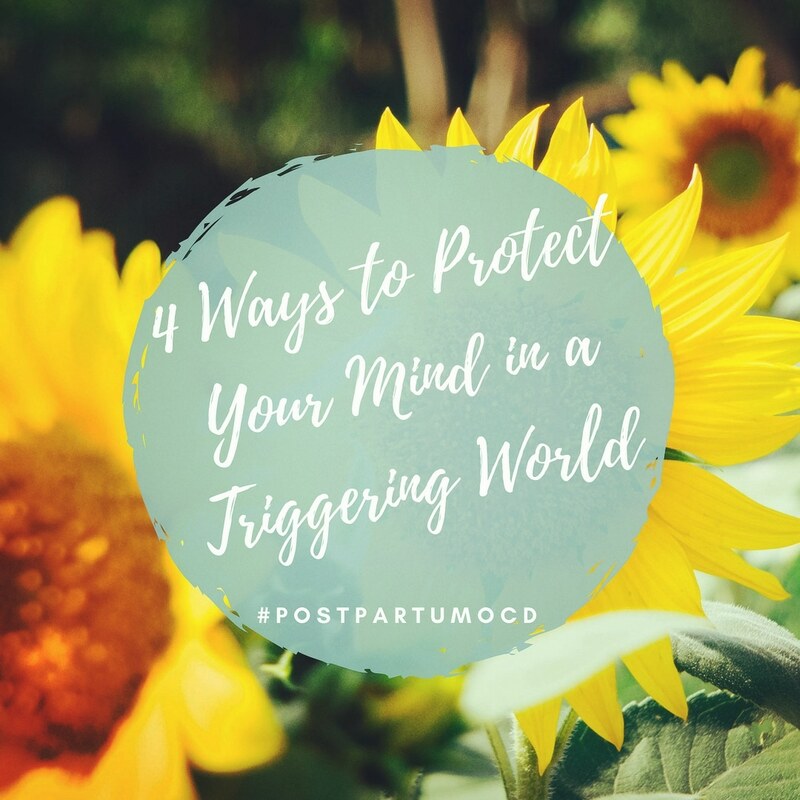 Our current world is a lot to handle for those who aren’t fighting mental illness, but when the weight of today’s reality is combined with the additional stress of mental illness, it can be overwhelming. I’ve never been more scared than when I was struggling with OCD and would see someone act on the same exact obsessions I had been ruminating over. I was in a very fragile mental state. It was next to impossible for me to distinguish between the problems others were having and my own. I didn’t see each mental illness as its own separate entity, instead I clumped them all together. To me, there was no difference between us. Anyone who was capable of having a scary thought was equally capable of acting on them, especially if they had a mental illness. Wrong. So, so wrong. Saying that every mental illness is the same is like saying every physical illness is the same. It’s completely untrue. Just as every mental illness is different, the severity of it varies too. Having a bruised knee and needing knee replacement surgery are VERY different injuries. Though both involve a knee, the severity of the injuries and the treatment of these injuries will be very different. I’m often asked how long it took me to heal. I have no problem sharing this information, I was in weekly (or more) therapy for about a year and a half. I also continue to take anxiety medication. My experience is not everyone’s though. Not everyone will take that long to heal. Some will take longer. My medication will not work on everyone, there were also some medications that did not work on me. Everyone is different. Every journey is unique. That doesn’t mean that one person’s journey is “easier” or less important than someone else’s, it’s just different. I’ve put together what I believe are the four most important ways that I was able to protect myself during triggering events and this is the same advice I give to anyone who messages me. This one is very difficult, especially for people who feel the need to constantly research their symptoms. I had postpartum OCD, specifically, I was scared/obsessed with thoughts of hurting my children on purpose. The nature of those thoughts made me very sensitive to stories where children had been hurt by their parent/caretaker. I thought that because other people had acted on my exact fears, it meant I was also capable of that. Nothing could have been further from the truth though. People with OCD do not hurt people, they have a great fear of hurting people, so they begin to have compulsions against the thoughts. I would make sure there were two closed doors between me and my sleeping children so that I didn’t hurt them during the night. I would only use knives in the kitchen when they were in a different room from me, etc. I was so scared of hurting them, I went overboard keeping them safe. People who hurt other people or children do not do this. They do not worry about their actions or feel guilty for having scary thoughts. They may very well suffer from a mental illness, but it for darn sure isn’t one that is rooted in keeping those they love safe. If you are currently battling OCD or a different type of mental illness, you need to close out all other stories you’ve heard that you believe to be similar. Those people are not you. They don’t have your same experiences and as identical as you may believe their story is to yours, it is not. You do not have enough strength to obsess over their story and yours. You must put all your energy into healing yourself and making your life a positive one. I know that someone struggling with harm OCD may be embarrassed or scared to tell others what is going on. I’m not saying you have to tell everyone your exact thoughts or obsessions, I’m just advising you to tell people that certain topics make you uncomfortable. You cannot completely hide from the world around you, but I’m suggesting you make your close circle of friends and family aware of certain topics of conversation that you aren’t comfortable being involved in. Being up front about not wanting to talk about dark topics will make it easier for you to relax in social settings and allow you to focus on the great relationships you have in your life. Make a list of non-negotiable facts about you. A list of core values and beliefs that are true to you. This list will help you when you are feeling anxious or feeding into the lies of OCD. OCD and anxiety want to make you question your morality and integrity. They want to make you unsure of who the “true” you is and they want to beat down your soul. Don’t let them. Use your “clear” mind to make a list of what is important to you. You don’t need to say these on repeat constantly, but have them in a safe place where you can find them and read them to yourself during times of doubt. There’s no “secret pill” to defeating OCD. I didn’t wake up one morning to find it was gone (though often wished I did). I didn’t follow these rules perfectly. There were days where I felt like I had lost all of my progress. Days where I felt back at square one. Days where I thought the tears would never end. There were times I sat on my couch, paralyzed in fear. I’ve laid on the floor convinced there was no way I could go on. I’ve been completely exhausted. Beyond hopeless. Irreparably broken. I’ve been to the bottom and then some. I promise there is a way out. There are better days ahead. Our reflexes may be to read about others’ experiences and base our recovery off of theirs, but it’s during those moments we need to really look inside of ourselves and focus on our own truths and paths. I totally understand you. I have gone through this exactly with three of my children. It is horrible and exhausting and so much more. But God is giving me strength. He has the answers. He knows every thought, and He understands. At the same time, he holds that child in the palm of His Hand, and nothing can touch it that He does not allow. He is so good. Thank you so much for coming out with the truth about your experience. It is so helpful for others going through the same thing! How brave of you to share this and how well you relay it. Honesty is what makes motherhood joyful.